Packed with history and a lively character to boot, Bristol is a city on the rise in the UK. It is a city for all, with a welcoming nature that invites anybody to call it home. In fact, over the last five years house prices have risen faster than any other major British city, highlighting that many are gravitating to Bristol as a place to study, work, live, and thrive. It’s hard to put your finger on what exactly makes Bristol different, but something about it oozes confidence. People are happy here, and there is an air of opportunity that is inescapable. As the Independent put it last year, there is an “entrepreneurial spirit” which is alive and well in the city. Because of this, Bristol has cultivated a host of independent businesses, many of which have successfully traded in the city for years — the UK’s oldest jeweller actually resides here. However, its retail landscape is both a negative and a positive for the city. On the one hand, it’s a place where independents can thrive, but on the other there is a split between areas in the city where mainly nationals trade, and others dominated by independent boutiques. In the heart of the city centre is the Bristol Shopping Quarter, where consumers can flit between high street staples, and the occasional independent retailer. 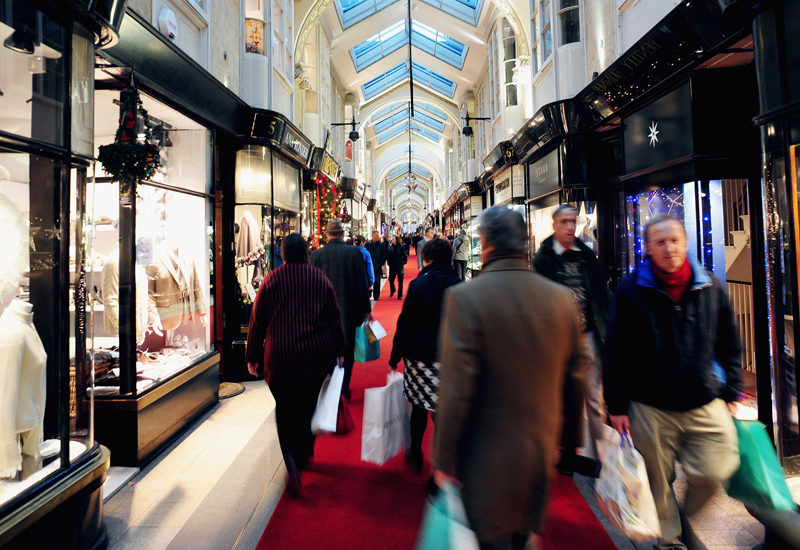 The Shopping Quarter is made up of four key areas: Broadmead, The Galleries, Quakers Friars, and Cabot Circus. Between these are hundreds of shops, alongside restaurants, cinemas and bars. In the heart of the city the majority of national jewellers can be found – most of which trade inside the Cabot Circus shopping centre. Inside Cabot Circus Goldsmiths, Ernest Jones, Fraser Hart and H Samuel all have luxury looking showrooms, while Pandora and Swarovski have concept stores here, and family-run Pravins is the only independent. Parsons is said to be the oldest jewellers in the UK. The shopping quarter’s other shopping centre, The Galleries, comprises multiple jeweller F Hinds, and independently-run 1710 Parsons. As the name suggests, Parsons has been in business for 300 years, and is said to be the UK’s oldest jewellers. During its time trading across four centuries, the jeweller has always remained in Bristol, but moved locations. Today is has a modest unit on the top of The Galleries. Other shopping areas in Bristol include the Old City, the Christmas Steps, and Park Street — which are all quite close together and boast a mixture of independents and higher-end chains, alongside art and craft boutiques, and contemporary jeweller Diana Porter, while outside of the city centre Gloucester Road is the longest road of independent shops in Europe. Here, jewellery designer Catherine Amesbury runs a store called Artemis. The majority of independent jewellers though are tucked up in the scenic hills in Clifton Village. Away from city life, this suburb of Bristol offers an eclectic mix of stores, restaurants and cafes, and is a short walk from the iconic suspension bridge. It is little wonder this area of the city has attracted a strong selection of high quality jewellers including Nicholas Wylde, John Titcombe, Grey-Harris & Company, and Clifton Rocks. Clifton Village is an idyllic location for jewellers. Far from the hustle and bustle it is known for its quality independent boutiques, and the locals surrounding are very loyal to businesses in the area. Independent jewellery retailer John Titcombe opened in the village 15 years ago, and has become a key business in the Clifton community. John Titcombe is the very definition of a manufacturing retail jeweller. All products are made and designed in house, with the company employing two CAD designers, three goldsmiths, stone setters, and more. All together, the store team has the whole package, and the jeweller has had great success with bespoke jewellery from the beginning. The majority of products in store, bar a selection of branded wedding bands, have been created in-house, and one look in the window reveals John Titcombe is not afraid to play with coloured gemstones and has a real eye for quality and detail. John Titcombe has a loyal client-based, many of whom come to purchase one-of-a-kind colourful pieces and bespoke commissions. Expanding every five years, at present John Titcombe, which used to trade from two units opposite each other, is building a flagship on the corner of the road. When finished, the boutique will feature a two-storey showroom, and a workshop on the next level. Inside, everything will be bespoke to the jewellery retailer, with the eponymous owner designing all elements. The retailer plans to open its flagship store in September, and will be inviting its loyal customers to come and celebrate with the team. Next door, Nicholas Wylde has been trading in the village for just over seven years. 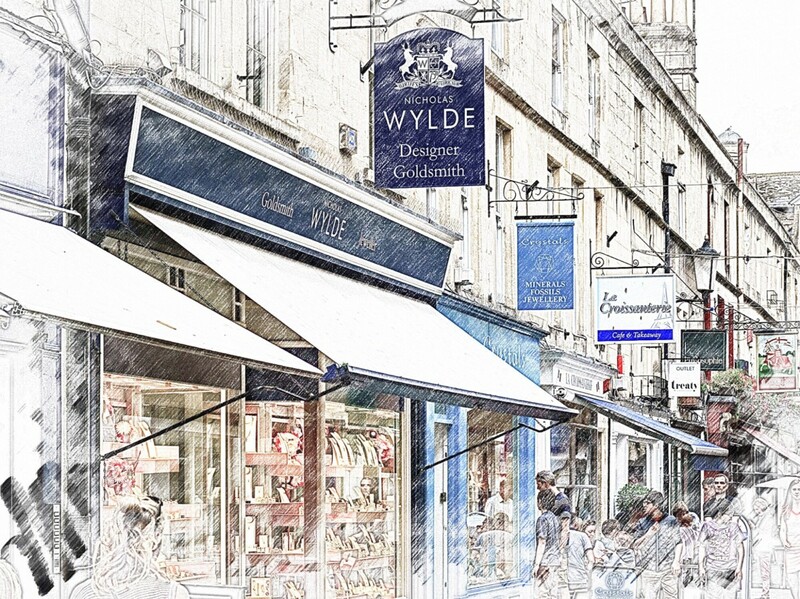 Building on its success in Bath, the Nicholas Wylde Bristol boutique only stocks pieces designed in-house, with its very own stone – the Wylde diamond – commanding the attention of the city’s customers. So far, 2018 has got off to a positive start for the jeweller, with both its Bath and Bristol stores posting a record Christmas. Wylde says the success in Bristol is due to innovative products and an investment in staff. Nicholas Wylde encourages constant training – on a weekly and monthly basis – to make sure staff are able to meet a shoppers every need, and answer every question without leaving them on the shop floor. When asked why the jeweller chose Bristol for its second location, Wylde says the opportunity came up while he was looking to expand. Jewellers in Clifton Village rely heavily on local trade. Despite it being known for its specialist boutiques, retailers say more could be done to promote it as a shopping destination. Wylde even believes it has the potential to become the jewellery quarter of Bristol, and works hard to endorse that. Bristol is Nicholas Wylde’s second boutique in the UK. Also in Clifton Village contemporary jewellery retailer Clifton Rocks has a store at the end of the street. Clifton Rocks was founded by jewellery designer, Clare Chandler, originally round the corner from the village, but it has been based in the heart of it for just over four years. Chandler had always wanted a store in Clifton Village, and is pleased to report business is going well. Chandler works in the store with a team of five other jewellery designers, who each create and sell their own unique collections. “It’s just nice that when a customer comes in they can talk to a jeweller. You can come in and get really sound advice. We will even advice people away from things, for example if the ring they want is going to be too thin and not good for longevity,” adds Chandler. Clifton Rocks also supports independent jewellery designers. Clifton Rock’s customers are always talking to a designer with expert knowledge. Likewise, elsewhere in the city Diana Porter supports designers in her showroom near the city centre on Park Street. Here, she has carved a niche, with many popping into store to see the owner’s new designs, and to discover the latest talent. 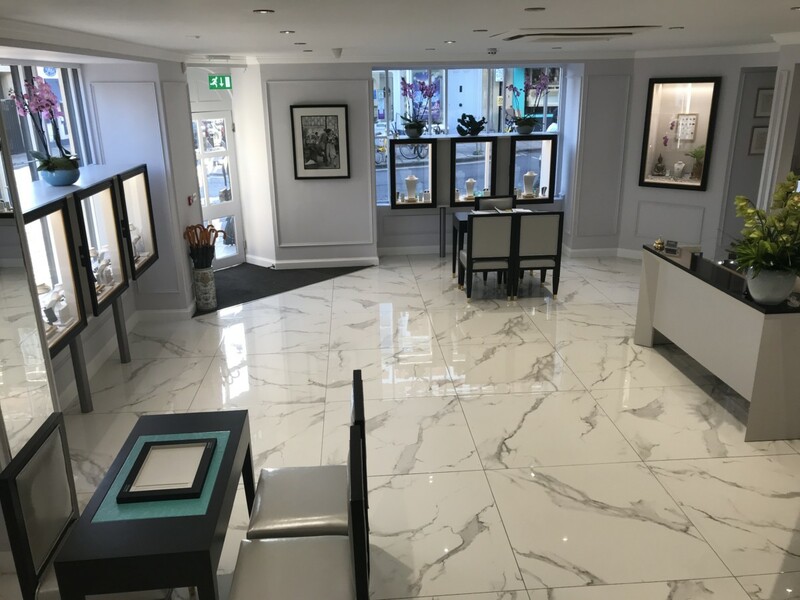 Overall business is good for jewellers in Bristol, with many remarking that the start of the year has been positive despite a slight dip in sales in March and May for some independents. After meeting the jewellers though, it’s not hard to understand why business is good in Bristol — it has very little to do with the city itself, but the innovative nature of the independent retailers. Take Catherine Amesbury for example, although outside the city centre the designer has managed to build a very successful customer base, and gives people a reason to make a trip to Gloucester Road to visit the store. Although she admits being established helps. 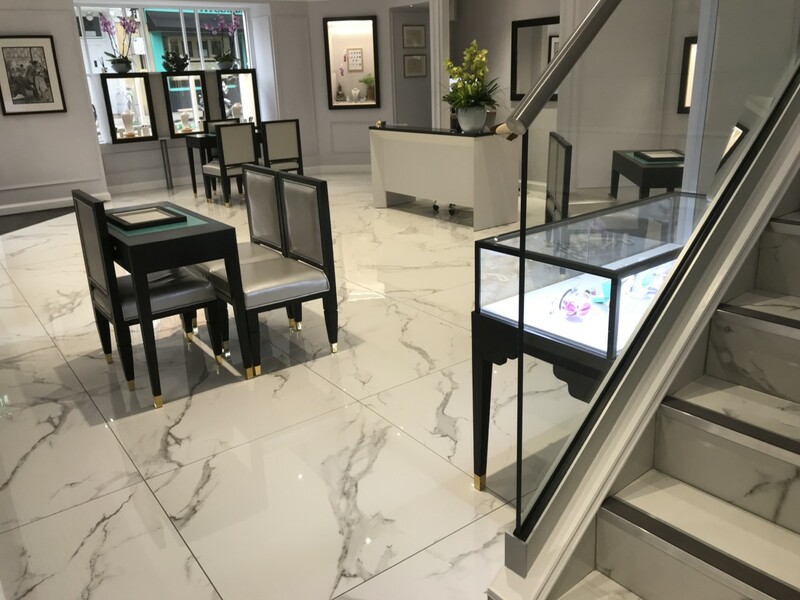 The designer’s store, named Artemis, has grown from Catherine Amesbury’s home, to a business described as ‘Aladdin’s Cave’ thanks to its mix of fashion jewels and gift items. Diana Porter may not be in a high footfall location but its a destination boutique for consumers looking to discover contemporary designers. Meanwhile, Diana Porter pulls in a crowd not only because it’s the only store in the city to stock the designer’s pieces, alongside other contemporary brands, but it also keeps its windows fresh and holds a popular exhibitions in store. Other than those two annual exhibits, next the boutique will be showcasing 13 new rings designed by Diana Porter and will be playing with an animal theme later this year. Exhibitions are promoted on social media and in local magazine, and sometimes the store will hold a private preview event. 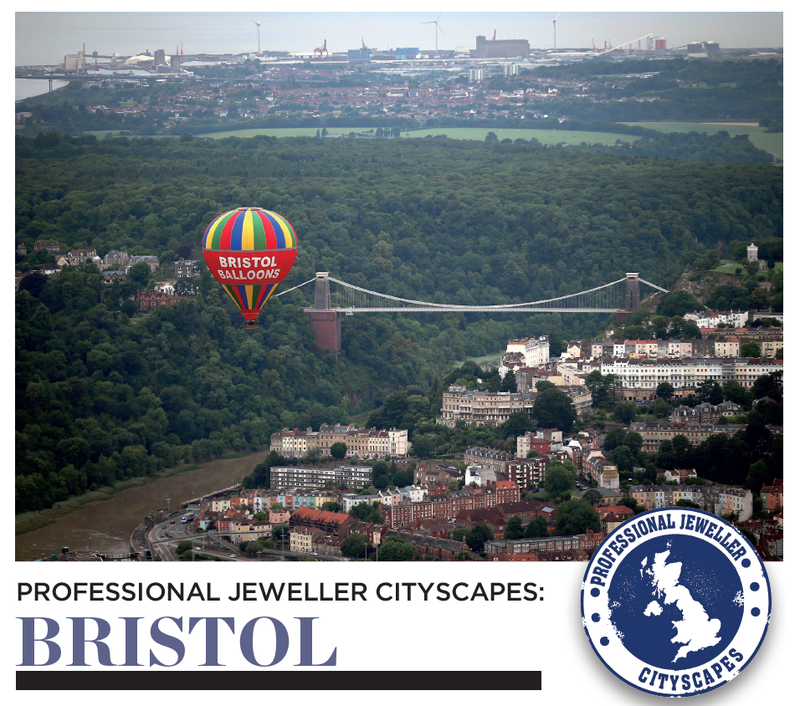 In Clifton Village customer service is king, with every jeweller Professional Jeweller visited excelling in this area. In terms of how business is in Clifton specifically, all the independents are doing well by building a reputation in the city for what they do. While parking can be a challenge, many claim their clients are not fazed by it. Nicholas Wylde actually has two private spaces customers can use, while John Titcombe says visitors will make an effort to come to the store and will not be deterred by parking difficulties. Business is also helped by Clifton BID, and activities happening city-wide that drive people to the local area. In terms of what’s selling in Bristol, it appears bespoke is big business in the city, alongside shoppers enjoying treasures only found in individual stores. Catherine Amesbury thrives on a street filled with independent boutiques. At John Titcombe customers are going larger. Smith says this could be down to people building on existing pieces, or because the wealth in Bristol is growing. The sales manager explains: “We made a conscious decision 15 years ago to go for very high quality diamonds. We generally stock D colour, we may have the odd E, but it is unusual for us to stock an F, whereas most of our competitors generally stock G-H, which is fantastic, but we offer the very pinnacle. “We offer clarity across the board, and we guide people into choosing the right stone for them. People love that. They love going for the best and having options of the best. But what they are choosing has increased over the last couple of years from one size to the next to the next. Across the board, if shoppers are buying off the shelves, they are going for unusual designs. Perhaps a nod to Bristol’s creative heritage.